Getting sick can be expensive. 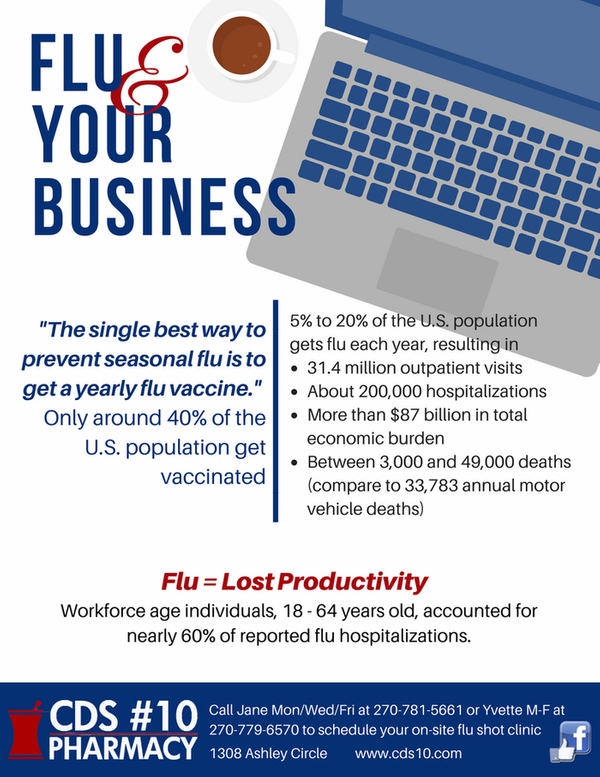 Companies lose $135 in revenue per day when an employee is out with the flu. Let your employer know about our workplace service. No one wants to catch the flu. CDS #10 Pharmacy will come to your place of employment to administer flu shots. 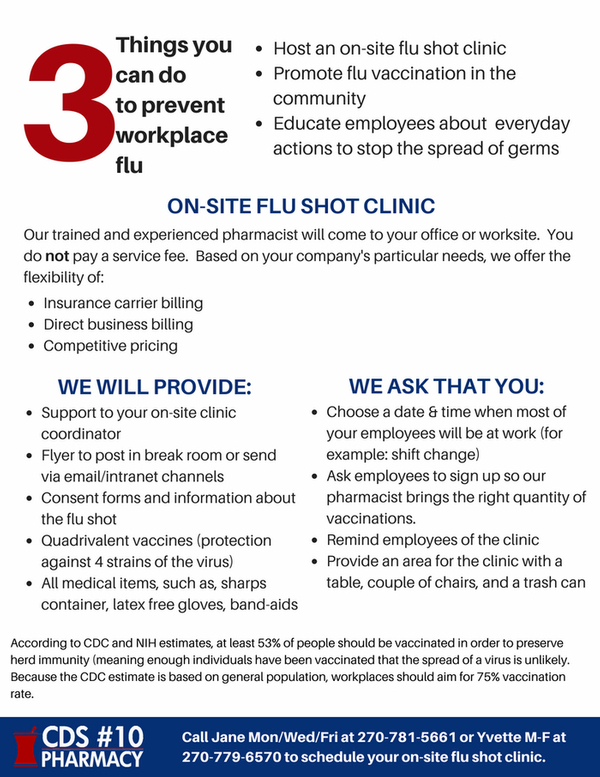 We provide on-site flu clinic services at NO COST to the employer. 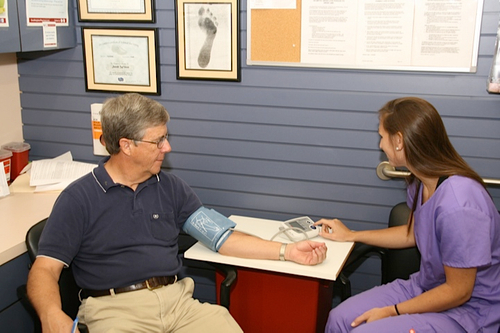 CDS #10 Pharmacy On-Site Flu Clinic service is available for business organizations in Bowling Green, Warren County. We have a travel flu-shot vaccination clinic. Contact us for more information.